C-Line's long lasting; attractive paper index dividers will make your project extremely easy and organize. The durable, strong and tear-resistant dividers are fully customizable with plastic tabs. Clear finish tabs design for a visible and stylish presentation. It is capable to fit in any standard 3-ring binders with easy reusable system. 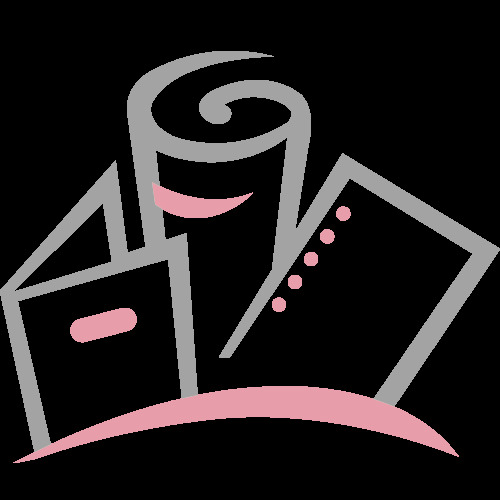 The paper index dividers are truly the perfect product for any type of documents! Transcript: Welcome to MyBinding.com. These are the Paper 5-Tab Index Dividers with Clear Tabs from C-Line. Give your binders simple, clean organization with these great dividers. They’re punched for standard 3-ring binders and feature a reinforced binding edge to prevent tearing on binder rings. Clear plastic tabs are easy to navigate, and this pack comes with a perforated strip of inserts you can write your labels on. Fill out your inserts, fold in half, and insert into the tabs. Simple, affordable organization from our friends at C-Line. Welcome to MyBinding.com. 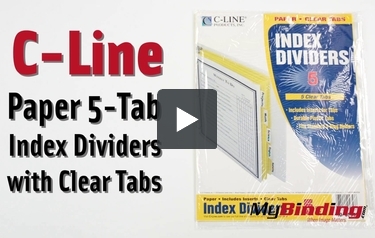 These are the Paper 5-Tab Index Dividers with Clear Tabs from C-Line.